As we all know that Alleppey is famous for its criss-cross canals and rivers, lagoons, green paddy fields, small country boats selling ethnic items – a verity of birds from Kingfisher, Sea Grate etc. All these can be experienced when we make a trip through these canals. Though there are many big and small canal, some are very beautiful, some canals flow through thickly populated villages, some canals flow through calm and quite remote area where one can hardly find any persons. These canals are more attractive due to their narrowness, native people residing on the banks of these canals, traditional Kerala homes, paddy fields etc. When the main Alleppey canals are fully packed with houseboat, motor boat, speed boat etc. there are some rivers and canals on the south end of Alleppey – Thakazhi – Thottapally route. It is very calm, quiet and less crowded. In case some guests want to have a peaceful atmosphere and less crowded backwater trip, this route is ideal then. To know more about good canals and rivers in Alleppey and nearby places, we have already published an article. 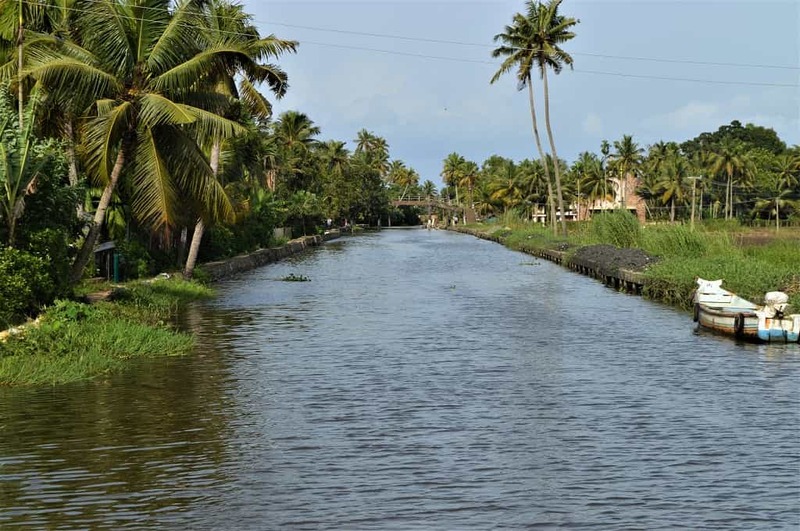 To know more about good rivers canals in Alleppey and nearby places, we have already published an article. Considering all the above aspects, we have short listed best 4 houseboat route or itinerary in and around Alleppey backwaters. 1 Night 2 Days (21hrs) Overnight Houseboat Package. This programme covers best canals in and around Alleppey. 1 Night 2 Days (21hrs) Overnight Houseboat Package. This programme covers calm and quite backwaters at Thakazhi and Thottapally which are not regularly covered by Houseboats. 2 Night 3 Days (45hrs) Overnight Houseboat Package. This programme covers best canals, more interior villages in Alleppey and part of Vembanadu Lake. 3 Night 4 Days (69hrs) Overnight Houseboat Package. This programme covers best canals, more interior villages and calm quite backwaters at Thakazhi and Thottapally. 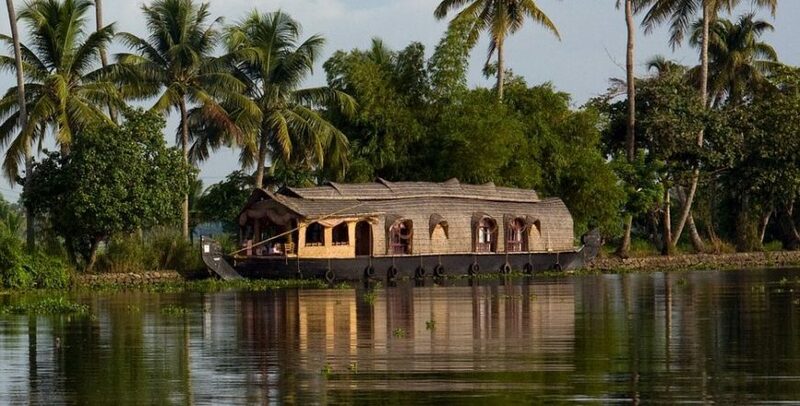 Since Alleppey is connected with north and south part of Kerala by inland water ways, there are many routes available for the guest to choose according to their tour itinerary in Kerala or they can themselves plan the houseboat trip as per their itinerary. Srees Tours can offer free travel advice in case anyone required. Below are some of these routes. This route is ideal for those who want to see Alleppey and Kumarakom backwaters. One can board from Alleppey and deboard at Kumarakom. Those who are coming from Kovalam and want to go to Kochi or Munnar(or vice versa), this itinerary is suitable. This itinerary gives a glimpse of Alleppey backwaters and Kumarakom Vembanadu Lake. When a trip is planned like this, the cost will go up as the boat needs to go back to its original place. 1 Night 2 Days (21hrs) Overnight Houseboat Package. This programme covers part of Alleppey and Kumarakom. This is one of the best route with many narrow canals, villages, no man land areas with lots of birds, paddy fields etc. which one can experience during the trip. This route is more scenic, peaceful and comfortable remote villages, and best narrow canal experience. This route is ideal for those who are coming from Kovalam/Quilon to Alleppey or vice versa. Below are the important points for those who are looking for this trip. Minimum 2 nights 3 days required to cover this place. Some operators do this trip on 2 days also without any stop in between beautiful landscape or villages. This trip is more expensive as the boat needs to come back to its original destination after the trip, which needs to pay by the guest. For example, if the boat originates from Quilon, this particular boat needs to come back to Quilon after dropping the guest at Alleppey. Pick up from Matha Amrithanandamyi Jetty is possible. Houseboats have 3 or more rooms with top floor or upper deck cannot make a trip through this route due to many over bridges and power lines. During monsoon in Kerala i.e. June to July – August, houseboat cannot operate on these routes due to high tide. This trip is ideal for those looking for a traveling from Trivandrum / Kovalam to Alleppey. Those who do not want to book a houseboat, but want to experience this route, Kerala Govt. Water Transport authority run a motor boat in this sector. Please visit LINK to know more about this. 2 Night 3 Days (45hrs) Quilon to Alleppey overnight Houseboat Package: This programme covers from Quilon to Alleppey backwaters. Houseboats are not operating in this sector as there are many bridges, low laying power lines; many unknown submerged hurdles in Vembanadu Lake etc. prevent this route. In case someone wants to come from Kochi to Kumarakom or Alleppey, a speed boat or motor boat is the best option available. By a speed boat it takes almost 4hrs to reach Alleppey from Kochi harbor. Great, thanks for such a valuable information. I have traveled in a houseboat before some years. Such a wonderful experience I got.